Wonder products for reducing Rosacea Signs. Rosacea is almost at epidemic levels where globally an estimated 45 million people are blighted by the condition. Often mistaken for adult acne, Rosacea is related to hyper-responsiveness facial blood vessels being more regularly connected with the synthetisation of abnormal proteins. At Facial Aesthetics, we offer a range of very effective treatments to normalise the skin and treat this debilitating condition. We may require different types of treatments from Veinwave Therapy to a prescriptive skincare regime, but rest assured we have been effectively treating this condition for many years and we are always on the lookout for the next best prescriptive solution to this common skin condition. What are our NEW WONDER products? Our very own Julie Scott has for many years battled with this condition and in recent months she has found the following amazing products that not only normalise the skin but also dramatically reduce inflammation. iS Clinical Hydra-Cool Serum – This super hydrating antioxidant powerhouse, calms, soothes and cools irritated skin. Colorscience All Calm – Clinical redness corrector – This is an absolutely amazing product that is a 3in1 formulation that instantly neutralises the appearance of redness, soothes and calms sensitive skin and provides SPF50 sun protection. iS Clinical on Rosacea – Help is at hand! 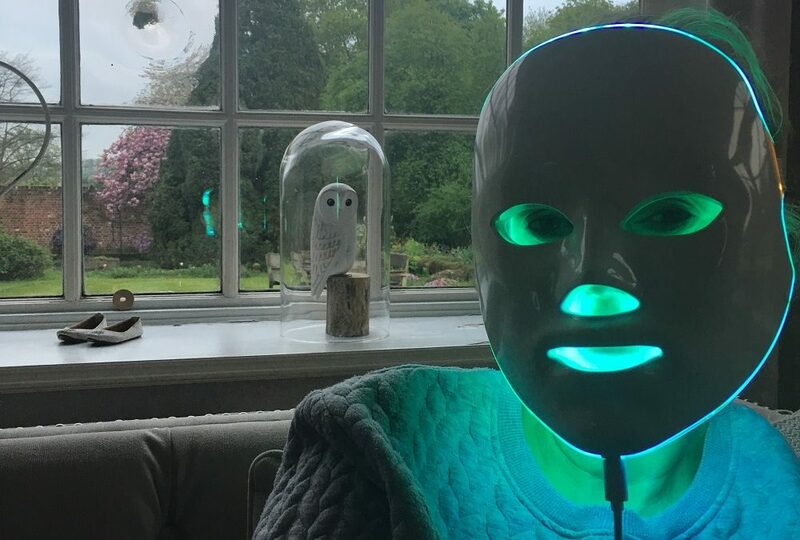 You can also come into the Skin Lab and treat yourself to a soothing LED Phototherapy session, which is both soothing and relaxing! Contact us for any questions or comments about us helping you treat your Rosacea.